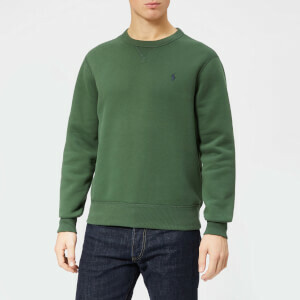 Men's crew neck tech sweatshirt from Polo Ralph Lauren. Crafted from a smooth, double-knit cotton blend, the sweater offers moisture-wicking properties for enhanced comfort. 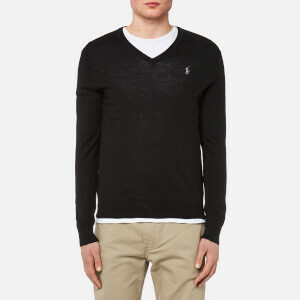 Features long sleeves and a rib-knit collar with a V-shaped stitch insert. The brand's signature embroidered pony logo sits on the chest. 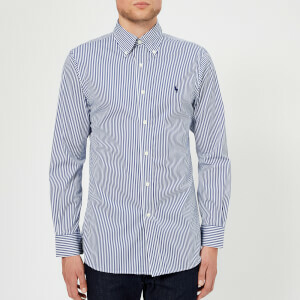 Complete with a banded hem and cuffs.